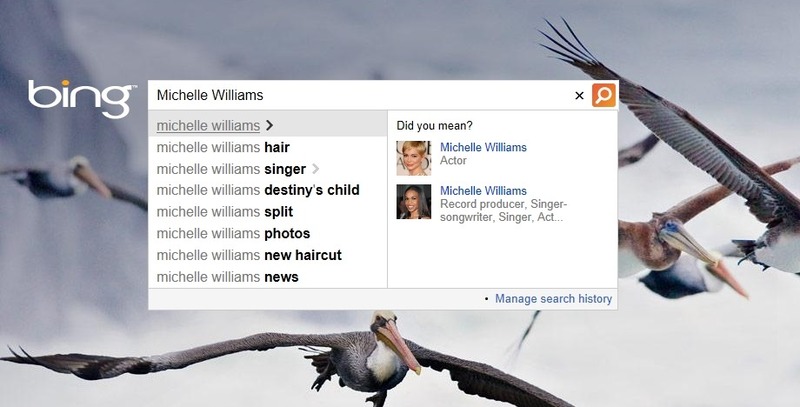 Microsoft today announced it is expanding its Bing’s People Autosuggest feature to include more than just humans. In fact, the search engine will now automatically suggest brands, movies, albums, places, software, sport teams, animal species, and more. 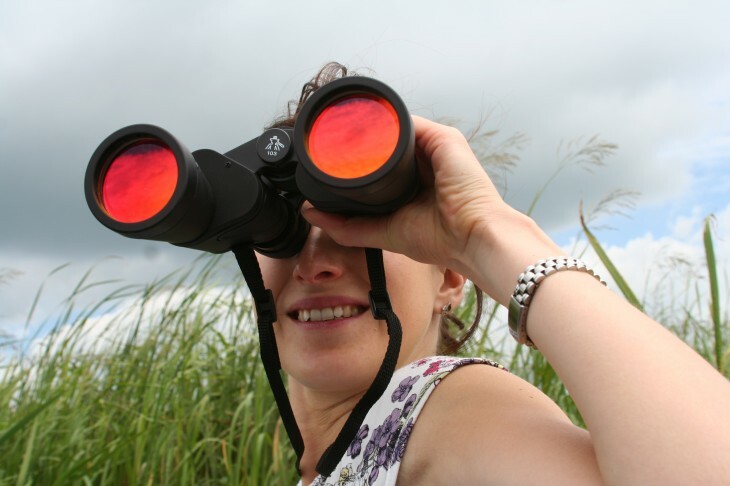 When Microsoft first unveiled the feature in May, it let users find the person they were looking for directly within the search box. When searching for a celebrity, politician, athlete, or even a colleague with a publicly available LinkedIn profile, Bing will provide a snapshot of information about that person just below the search bar. Now, Microsoft is taking things a step further. 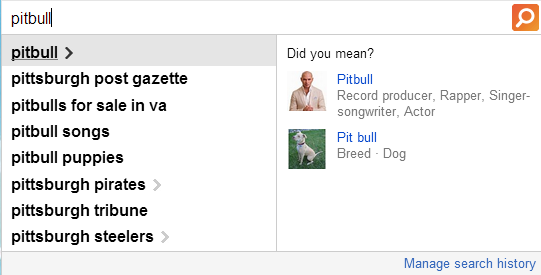 If you consider the word “pitbull,” Microsoft will prompt you for results about the artist (a person) as well as the dog (a breed). Actually, Bing doesn’t understand the difference. Bing merely understands that there are multiple meanings for the same word, which is of course no easy task, but isn’t exactly the same thing. The company offers two more examples. Searching for “Harry Potter” lets you choose between the literary series, the character, and a selection of movie titles. If you search for “Empire state building,” Microsoft concludes you could only be referring to the place, so Bing doesn’t give you any choices, but instead shows a summary from Wikipedia, the architect’s name, and the architectural styles. In order to make these distinctions, Bing utilizes an underlying technology we call Satori that understands the relationships between millions of people, places and things providing you with a more useful model of the digital and physical world. All of this computational power allows you to select the most appropriate choice in a matter of milliseconds. If that sounds like Google’s Knowledge Graph, that’s because the two are very similar. Microsoft is pushing a bit further by surfacing these differences directly below the search box as opposed to the search results page.